The Chesapeake Bay Stormwater Training Partnership (CBSTP) was created to deliver targeted training on new tools and practices to improve the quality of stormwater runoff. The Partnership works with stormwater design professionals from local government and the private sector to understand and apply the latest stormwater management design and implementation strategies. The Partnership offers many convenient ways to learn and apply runoff reduction and environmental site design practices to development and redevelopment sites across the Chesapeake Bay watershed. All of the existing resources have been archived in our Training Library and can be explored through the links on the left. Read our CBSTP-Phase 2 final report to find out more about what we do. The crew from a recent CBSTP advanced retrofitting workshop in Charlottesville, VA. Targeted Webcast Series for Four Training Populations; To learn more about our webcast series click here. Training of BMP Installation, Maintenance and Verification Inspectors: to further build upon the the inspection and maintenance technical resources developed under previous phases of the grant. To learn more about those resources click here. Industrial Sites and Public Works Yards – coming soon! State-specific Training for Stormwater Designers and Plan Reviewers – check out our other resources here. As new content is developed it will be automatically added to our training library where you can access it and improve your stormwater knowledge! The final programmatic report for Phase 2 of the Chesapeake Bay Stormwater Training Partnership grant. 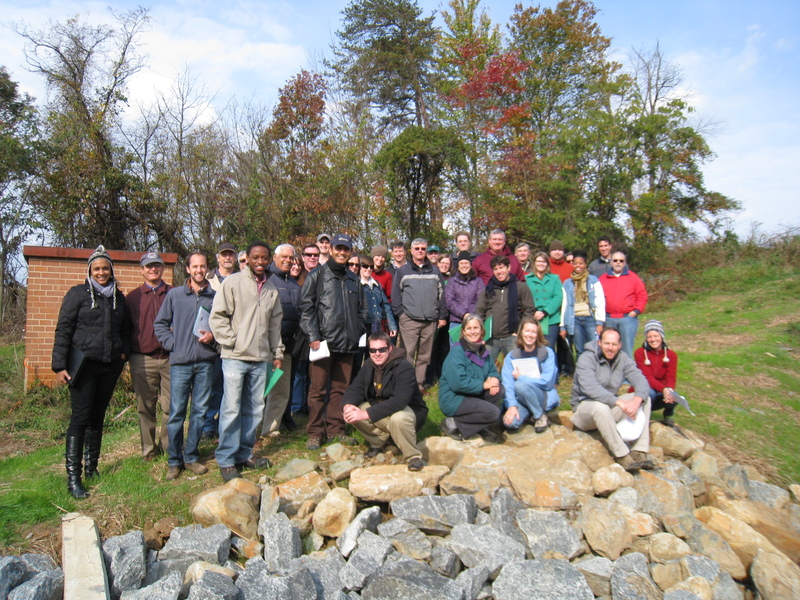 Includes a brief description of the Chesapeake Bay Stormwater Training Partnership. Survey (2011) of Stormwater Professionals conducted by the Chesapeake Stormwater Network. Survey (Spring 2012) of Stormwater Professionals conducted by the Chesapeake Stormwater Network. Survey (Fall 2012) of Stormwater Professionals conducted by the Chesapeake Stormwater Network. Submit your Project by April 5th! Stay in the loop with a newsletter for MS4 communities and those who support them. Sign up today, it's totally free!